Twelve-year-old Jaime makes the treacherous and life-changing journey from his home in Guatemala to live with his older brother in the United States in this gripping and realistic middle grade novel. Jaime is sitting on his bed drawing when he hears a scream. Instantly, he knows: Miguel, his cousin and best friend, is dead. Everyone in Jaime’s small town in Guatemala knows someone who has been killed by the Alphas, a powerful gang that’s known for violence and drug trafficking. Anyone who refuses to work for them is hurt or killed—like Miguel. With Miguel gone, Jaime fears that he is next. There’s only one choice: accompanied by his cousin Ángela, Jaime must flee his home to live with his older brother in New Mexico. 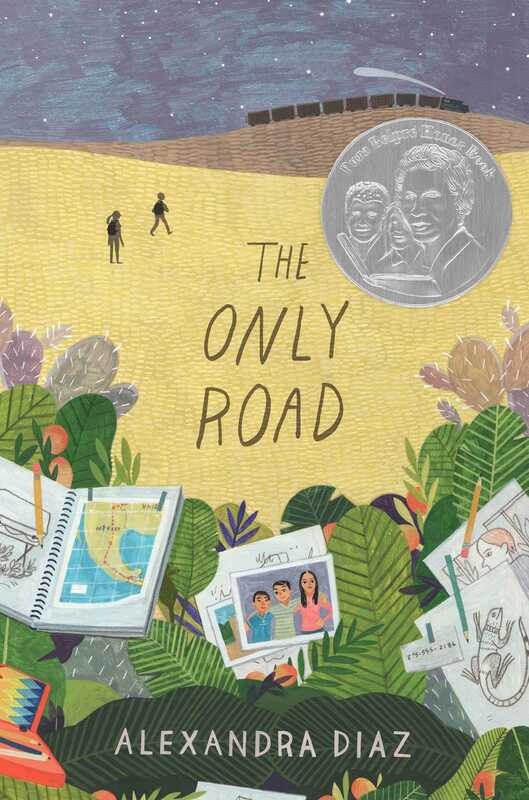 Inspired by true events, The Only Road is an individual story of a boy who feels that leaving his home and risking everything is his only chance for a better life. It is a story of fear and bravery, love and loss, strangers becoming family, and one boy’s treacherous and life-changing journey. From the kitchen came a piercing scream. The green colored pencil slipped, streaking across the almost-finished portrait of a lizard Jaime Rivera had been working on for the last half hour. As he jumped to his feet, a wave of dizziness hit him, leftover from the fever that had kept him home from school that morning. It took a second for his vision to clear, his hand braced on the sill of the glassless window that no longer held the posing lizard. He took a deep breath before bursting into the kitchen. The wailing only grew louder. No, no, no, no, please no, he thought. It couldn’t be, couldn’t. It had to be something else. Please! “¿Qué . . .” Jaime stopped short. Mamá was slumped on the plastic table, crying into her arms. Papá stood behind her with a hand on her back. Despite his quiet stance, his broad shoulders were hunched, making him look as distraught as Mamá. At the sound of Jaime’s entrance, Mamá looked up. Streaks of black, brown, and tan covered her normally perfectly made-up face. She beckoned him closer, pulled him onto her lap, and held him as if he were two instead of twelve. Papá’s strong arms encircled both of them. For a second Jaime allowed himself to melt into his parents’ embrace. But only for a second. Dread twisted his stomach into a knot. It had happened, something he’d feared for a long time. He had convinced himself with all his might that it wouldn’t, couldn’t happen, because he didn’t have anything to offer them. But they obviously disagreed. They had made that clear two weeks ago. If only he were wrong, and it wasn’t that at all. The incident that had happened two weeks ago came back to him; his former friend Pulguita had called over Jaime and his cousin Miguel as they were walking home from school. “What does he want?” Jaime had muttered under his breath. “I don’t know. But at least he’s alone.” Miguel looked up and down the dirt street before crossing it. Jaime double-checked as well. Good. They weren’t around. Miguel stopped a few meters away from the boy. Jaime folded his arms across his chest, keeping more distance between himself and his former friend. “¿Qué?” Miguel asked, barely opening his mouth. “No,” both Miguel and Jaime answered. Not when the boy was Pulguita. Not when he had become one of them. Now Pulguita’s clothes were immaculate. From his white sleeveless undershirt and blue fútbol shorts to his white socks stretched tight to his calves and white Nike high-tops, everything he had on was new and expensive. To prove it, he pulled out his flashy iPhone and twirled it around his palm, making sure the cousins noticed. Oh, Jaime noticed it. The only phone anyone in his family could afford belonged to Tío Daniel, Miguel’s papá. He shared it with Jaime’s family and other relatives, but there was nothing fancy or smart about it, just one of those old flip ones. “You leave Tía out of this.” Miguel took a step closer, his eyes glaring at him. Pulguita ignored the threat as he continued showing off the fancy phone. “We don’t need your help,” Jaime said, but in the back of his mind he was intrigued. Mamá had been a teenager when she had broken her leg and it had been set incorrectly. Her limp was barely noticeable when she walked, but the injury kept her from jobs that required standing or sitting all day. She earned next to nothing washing and ironing clothes for rich ladies. Papá made barely enough at the chocolate plantation to keep them fed and sheltered in their small house that consisted of two small rooms: a sleeping one and a kitchen. The outhouse was, well, outside. If they had extra money, just a tiny bit more, maybe his parents wouldn’t need to work so hard. Maybe they could live better. But not by earning money the way Pulguita offered. It wouldn’t be worth it. Our help. The words pounded repeatedly in Jaime’s head. His stomach twisted at the thought of what Pulguita and his new friends expected in exchange for help. “Not until your farts smell like jasmine,” Miguel assured him. Jaime nodded. He couldn’t do anything else. With a shrug Pulguita tapped a code on his phone before bringing it to his ear, stuffed the other hand deep into his pocket, and swaggered away. Jaime had tried to put the confrontation with Pulguita out of his mind. Until now, in the kitchen, with his mamá wailing and both of his parents smothering him. Something was wrong. Horribly wrong. And he had a feeling he knew what. His body tensed up to break free, but Mamá’s grip only got tighter. Mamá released him. Her dark eyes were puffy and red. Her black wavy hair hung in tangled, wet clumps around her face. Jaime brushed a strand away from her eyes, something she used to do for him when he was younger and feeling upset. Jaime scrambled out of his mamá’s lap. Papá reached out for him, but he jerked away. The dizziness that had almost overcome Jaime in the bedroom threatened to overtake him again. Miguel just has the flu, Jaime tried to convince himself. After all, Jaime had been pretty feverish this morning too. That’s it. Just a bad flu. But that didn’t explain Mamá’s crying, why she looked at him like it would be the last time. “What’s happened?” The words choked him. “No.” Because even though he had guessed the possibility, it couldn’t be true. Not Miguel. Not his brave cousin. Not his best friend. Of course, them. Jaime wrapped his arms tightly around himself, desperate to stop the shaking that had taken over his body. His sore throat from this morning made it impossible to swallow or breathe. Parque de San José. He and Miguel cut across the small park every day, twice a day, on their way to school and back. At night it was filled with drunks and druggies, but during the day, with everyone else who walked through it, it had always felt safe enough. “Di—did they—how—¿qué?” Jaime stumbled over the words. His mind had gone blurry. Jaime cringed. Of course, Pulguita. If this was the puny, stinking pest’s idea of “helping” . . .
“Stop.” Jaime didn’t want to know more. He could see the Alpha gang members in his head—some big and burly, some lean and quick, and Pulguita, small enough to be squashed. All of them punching and kicking until Miguel fell to the ground. If only Jaime had been there. Jaime stopped listening because he knew the names. Older boys he’d gone to school with, grown men with wives and children. People who tried to stand up to the violent gang; people who were now dead. Dead, muerto. Like Miguel. His cousin had come over that morning. His face, with its lopsided smile, ecstatic over his scholarship into the exclusive science prevocacional school in the city twenty kilometers away: he had always wanted to be an engineer. His disappointment that Jaime was sick and couldn’t walk to school with him disappeared as Miguel counted all the people he had to tell his good news to. Guilt blazed in Jaime’s chest as he gasped for air. Why Miguel? Why not him? The room suddenly didn’t seem to have enough of it even with the humid breeze coming in from the glassless windows. His fault. The gang had a strong presence in their small Guatemalan village and other villages in the area. Kids younger than Jaime were addicted to the cocaine the Alphas supplied. Shopkeepers were “asked” to pay the Alphas for protection: the protection they offered was from themselves. Protection from being robbed, or killed, if refused. Jaime crouched down on the bare dirt floor, hiding his face in his arms. If only he hadn’t been sick this morning. If he had walked through the park with Miguel like always, could he have stopped them from attacking? Two against six was better than one against six. Except Jaime had never been good at fighting. Would it have been easier to give in? Become the gang’s newest member? Sell drugs on street corners, demand “insurance” from villagers, kill anyone who refused or got in his way? No, he couldn’t have done things like that, but he wouldn’t have been able to stand up to the Alphas either. He’d never been brave like his cousin. “Here,” Mamá’s voice said softly. Jaime looked up from his crumpled spot on the floor. Mamá had put the coffee on the stove and cleaned herself up. Her eyes were still red, but now she just looked tired, and old. She offered him sweet and milky café con leche. Like it would help. His parents didn’t look at him. Mamá started crying again and Papá shook his head. Jaime got his answer. “I don’t want to die. But I don’t want to kill people either. What can I do?” he asked the coffee cup in his hands, like a fortune-telling bruja might do with tea leaves. Neither the coffee, nor his parents, answered him. There was nothing he could do. No one escaped the Alphas. Twelve-year old Jaime Rivera and his cousins Miguel and Ángela are a part of a close-knit family in Guatemala, but when Miguel is murdered after refusing to join a local gang involved in drug trafficking, their family is forced to make a heartbreaking decision. The Alphas have sent a message that if Jaime and Ángela stay in Guatemala, they will be next. The family has no choice but to send their children to cross the borders into Mexico and then the United States to live with Jaime’s older brother. The journey is difficult and dangerous, but their hope for a better life and the love of their family gives them the courage they need to escape. 1. Consider the book’s title. What causes Jaime and Ángela to leave Guatemala? Why do their parents believe that this choice is the only way out? Can you think of any other options for them? 2. Who are the Alphas? Why do they have so much power in Jaime’s village? Why can’t their parents just report the Alphas to the police? 3. What do Jaime and Ángela take with them in their backpacks? If you had to leave your home with nothing but a backpack, what would you bring with you? 4. Describe the sacrifices that Jaime and Ángela’s family had to make so their children can escape the Alphas. 5. Describe the role that art plays in Jaime’s life. How does art help him make it to the United States? Do you have something in your life that is similar to Jaime’s love of art? 6. How do Jaime and Ángela meet Xavi, Rafa, and Joaquín? Why do they decide to travel together? 7. Indirect characterization shows the reader what a character is like by describing their speech, thoughts, effect on others, actions, and looks. How does the author use indirect characterization to show the reader that El Gordo is not a good person? 8. The children name the dog that Xavi rescues Vida, which means “life.” Why do you think Ángela agrees to help save the dog even though she is afraid of dogs? How does Vida help protect Jaime and Ángela? 9. Why do you think the author chose to include realistic descriptions of violence in this story? In your opinion, which step of the journey was the scariest? How did Jaime and Ángela survive this part of their journey? 10. On Jaime and Ángela’s journey, they meet many people who are trying to immigrate to the United States. What are some of the reasons that people have for leaving their homes and risking the dangerous journey across the border? 11. What is Joaquín’s secret? Looking back, were there hints that foreshadowed the fact that Joaquín was hiding something? Why did Joaquín feel that traveling in disguise was necessary? 12. Jaime and Ángela meet several people who help them along their journey. Describe each person that helps them. What do you think motivates each of their helpers? 13. In many ways, this is a novel about loss and discovery. What do Jaime and Ángela lose? What do they discover in the process? 14. If you had to make a journey like Jaime and Ángela’s, do you think you could? What would be the hardest thing about it? 15. What do you think happened to Jaime and Ángela after the end of the novel? Imagine that they enrolled as students in your school. What would you want to tell them? 16. We have several words to describe people who leave their home and seek to live in a different country: migrant, immigrant, refugee, alien, illegal. What are the connotations and definitions of each of these terms? Which word would you use to describe Jaime and Ángela? Explain your choice. 17. After they lose Xavi, Ángela wants to give up and go home to Guatemala. Why do they keep going? If you were in Jaime’s or Ángela’s position, would you have kept going on your journey, or would you have given up? 18. Why do you think Ángela and Jaime make it all the way to the United States? Is it a result of luck (fate), their own choices (free will), or a combination of the two? 19. Before you read The Only Road, how much did you know about immigration? How did reading about Jaime and Ángela’s journey change your understanding about this issue? 1. In her author’s note, Alexandra Diaz writes: “People desperate to immigrate face many dangers and expenses, and still run the risk of being sent back home if caught. It’s a sad, worldwide conflict that is close to me, one without an easy solution.” Research this issue. What steps do you think the United States should take to address immigration? What can we do to help people who are forced to leave their homes because they fear for their safety? 2. Throughout the novel, Jaime uses art as a way of processing and recording his experiences.Using the novel as inspiration, recreate some of the pictures Jaime drew in his sketchbook. 3. Using the novel as a guide, create a map of Jaime and Ángela’s journey. Use an online site like Google Earth to help you research and create your map. 4. On Jaime and Ángela’s journey they meet people from other Latin American countries, like El Salvador and Mexico. The parents of author Alexandra Diaz immigrated from Cuba. Choose a Latin American country to research and prepare a report about the culture, geography, government, and history of the country you chose. 5. Jaime’s love and talent for art is a source of solace and survival. He shares a last name with the famous Latin American artist Diego Rivera. Research the art of Rivera and/or his wife Frida Kahlo. What are your favorite things about their art? Try to create your own art in the style of either artist. 6. Jaime and Ángela’s journey follows the steps of an archetypal Hero’s Journey. Research the Hero’s Journey (also known as the monomyth cycle) and explain how Jaime and Ángela’s journey follows each of these steps. 7. While The Only Road is a work of fiction, it is grounded in reality. At the end of the book, Diaz provides a bibliography and list of resources for further exploration. Compare the novel to a nonfiction story about immigration. Debate the pros and cons of using fiction instead of nonfiction to inform readers about an issue like immigration. 8. As a class, try to list all of the countries that you know of where Spanish is spoken as the primary language. How are these countries different, in regards to their geography, history, and culture? Look up a list of the 21 Spanish-speaking countries and assign each student a country to research. Using the world showcase at Epcot as a model, create your own classroom mini-world showcase to highlight and celebrate the diversity of each country's history, geography, and culture. Guide prepared by Amy Jurskis, English Department Chair at Oxbridge Academy. 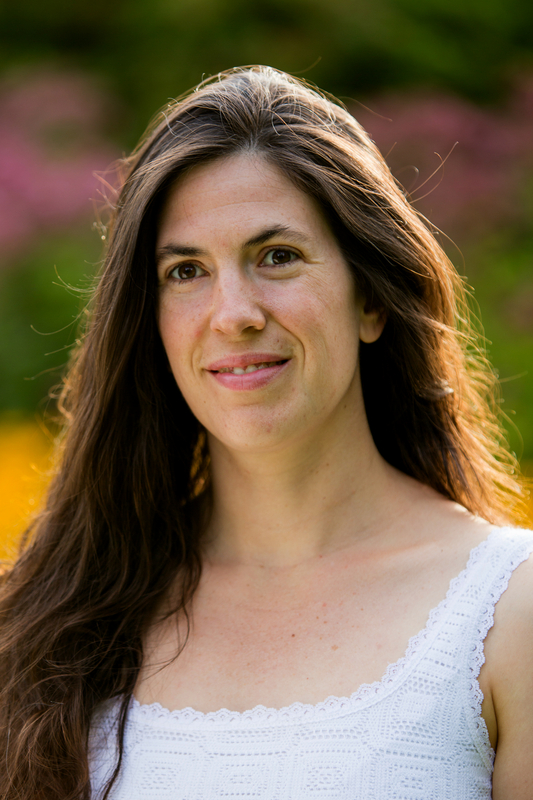 Alexandra Diaz is the author of The Only Road, which was a Pura Belpré Honor Book, an ALA Notable Book, and the recipient of two starred reviews. She is also the author of Of All the Stupid Things, which was an ALA Rainbow List book and a New Mexico Book Award finalist. Alexandra is the daughter of Cuban refugees and lives in Santa Fe, New Mexico, but got her MA in writing for young people at Bath Spa University in England. A native Spanish speaker, Alexandra now teaches creative writing to adults and teens. Visit her online at Alexandra-Diaz.com. Terrorized and threatened by a local drug gang, a 12-year-old boy and his 15-year-old cousin flee their Guatemalan village and seek refuge in the United States. . . . Crossing into Mexico after a nighttime getaway, Jaime and Ángela meet fellow runaway teens, each with different reasons for fleeing home. Their passage, nevertheless, proves treacherous for everyone, child or adult. . . . Though Jaime and Ángela's story features dizzying acts of violence and abuse, Diaz explores such complex, grim matters with great care. The author's use of third-person narration situates readers at a distance from the horrors that assail the protagonists while at the same time allowing opportunities to dig into Jaime's grief during crucial moments. It's Jaime's sorrow over Miguel's death that best defines Diaz's novel, reminding readers of the real-life struggles afflicting many Latin American immigrants every day. Jaime’s first person perspective enables readers to begin to comprehend the realities of undocumented youth immigration, its underlying causes, and the sacrifices and hardships made to reach safety in the United States. An important, must-have addition to the growing body of literature with immigrant themes.